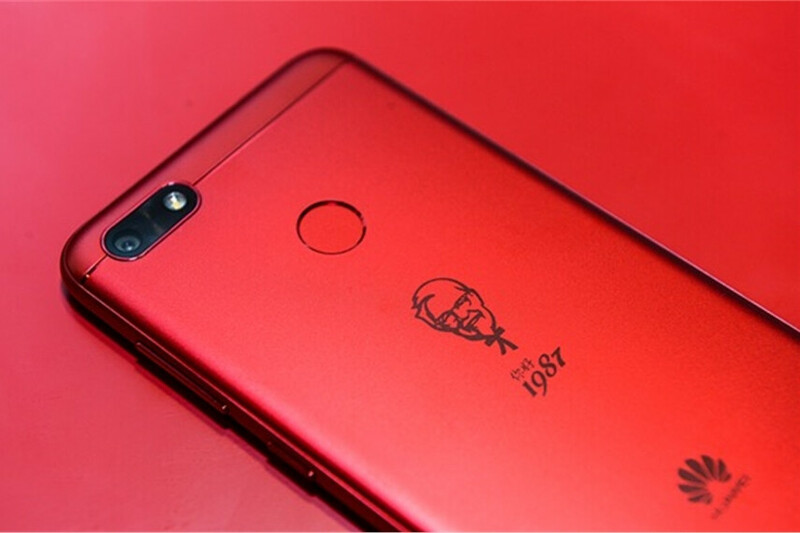 The phone, of which only 5,000 units will be made, has been available exclusively in China since last Friday, July 7, and can be bought either from the KFC app itself, or from a flagship Tmall store (the latter applies to 'KFC members' only, though). It costs ¥1,099, which works out to about $161. But the brand synergy doesn't just stop there: KFC's app will get an exclusive feature in China called K-music, which lets users listen to curated music when inside a KFC restaurant. The feature will be exclusive to Huawei devices until the end of the month. Branded smartphones are nothing new (the official press release says as much, listing off stuff like that Pirates of the Caribbean Galaxy S8 edition), so here's a different question instead: why China? Sure, the official narrative is that since the two companies both started their business in China in the same year (1987, 30 years ago today), but that sure looks like grasping for straws to us. Meanwhile, just slightly eastward lies Japan, a country infamous for its love of KFC, to the point where eating it is actually a Christmas tradition — surely such a marketing stunt would do better over there? Wow, can't imagine wanting a phone like that. Some people really like chicken, bro. KFC? I'll very much prefer a more suitable brand to adorn my smartphone. Not some fast food stuff. I just asked my buddy (IT for YUM at their corporate headquarters in Louisville). Nobody in that building has heard of such a thing. F KILL all those KFC owners and worker (and even all non vegetarian) who are brutally killing billions of innocent animals every year.... I DON'T WANT ANYTHING FROM KFC EVEN FOR FREE. Only thing I want is... These people Should be killed in same brutal manner as they were killing innocent animals. Yeah? How about killing vegans for eating innocent plants. Plants don't home sensory organs to feel pain..... Humans are vegetarian by nature. "Plants don't have sensory organs..." sure. But humans are vegetarian by nature? Surely you're a vegan prophet. A Vegaphet.